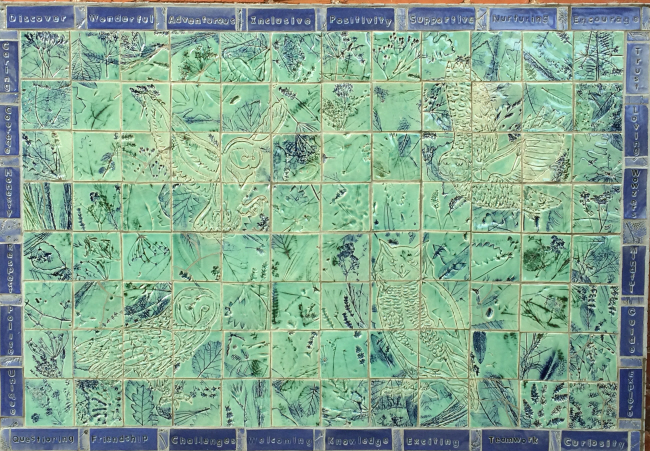 This relatively small mosaic was commissioned by the PTFA and Head Teacher to make a work of art involving every pupil in the school. 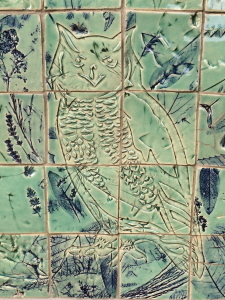 The school is located in a rural setting close to the Quantock Hills and the imagery on the mosaic are the class names Barn Owl, Snowy Owl, Tawny Owl and Eagle Owl. 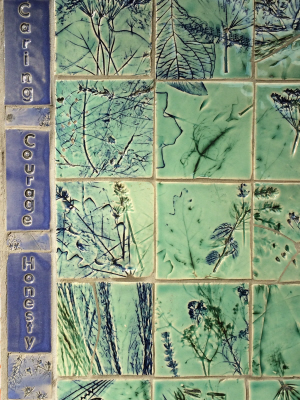 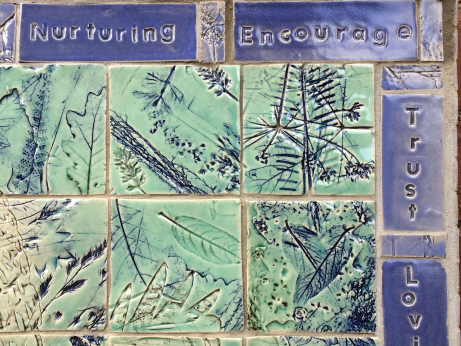 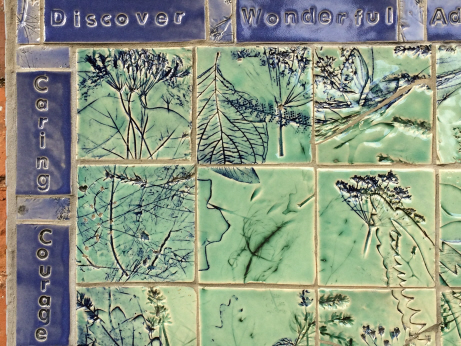 Around the edge of the mosaic are words that the teachers and children felt reflected the ethos of school life. 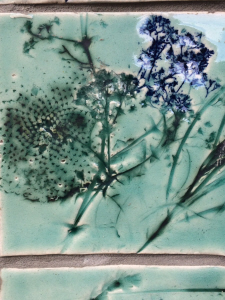 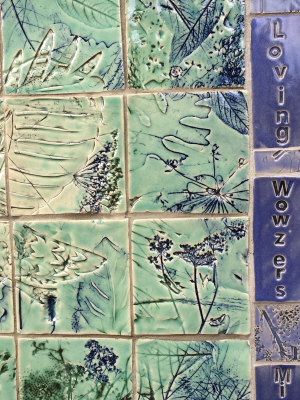 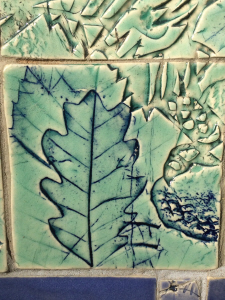 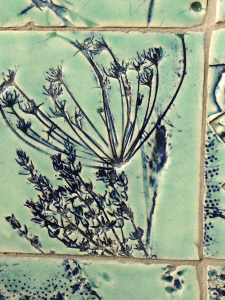 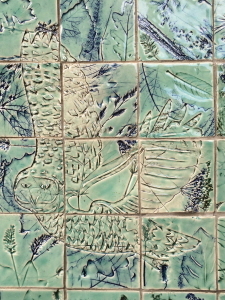 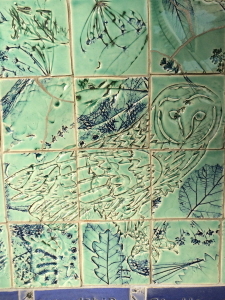 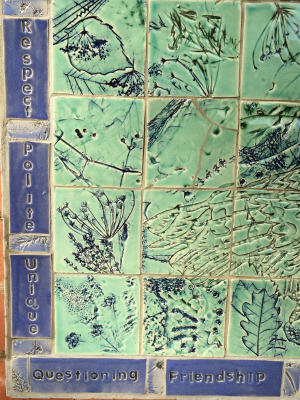 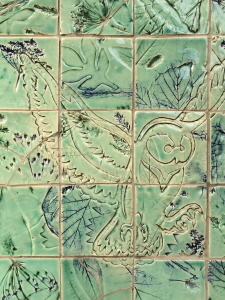 The tiles are textured with local plants and the owls images are formed from impressed stencils, which are highlighted with natural oxides. 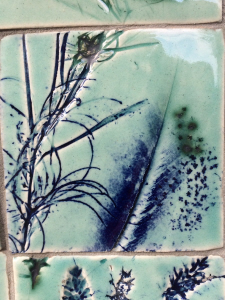 The glazes reflect the natural colours in the landsacpe.